In 1902, Cadillac owed its appearance to the engineer Henry Liland and the businessman William Murphy. The company received its name in honor of the ancestor of Henry – Le Sieur Antoine De La Mothe Cadillac – of the French administrator and military leader who founded Detroit in 1701. 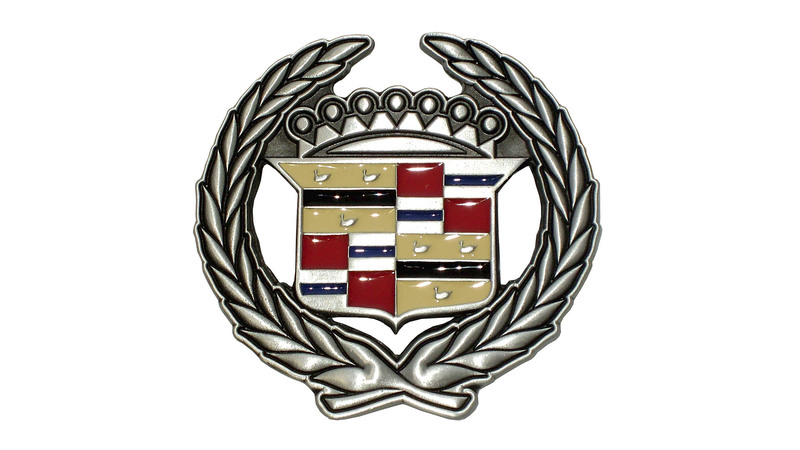 The family crest of Cadillac became the base of the old Cadillac logo. It looked like a blazon framed by a wreath. In 2014, the Cadillac Company officially introduced the new logo. It lost laurel wreaths adorning the coat of arms. The one-cylinder A model, which appeared at the exhibition in New York in 1903, was the first car of the make Cadillac, but only the D model, which appeared in 1905, have already been fit with a 4 cylinders’ engine, earned real prominence of the company. The company also assembled the first in the history car with a fully closed bodywork of a coupe. In 1909, Cadillac was bought by Billy Durant, the founder of General Motors. But the control over the company was retained behind Liland. In the same year, the production of one more model Cadillac 30 began. It remained in production for 6 years. In 1912, the first in the world electric starter was installed on this car. In 1915, Cadillac 51 with the first in the world mass automotive production of the 8-cylinder engine of the V-like form, appeared in the line of company’s cars. Its later model created in 1949 established a standard for all the American automobile industry. From the very beginning of its existence, the Cadillac Company considered making its cars as symbols of luxury, elegance, but at the same time, they had to be reliable and technological. Cadillac LaSalle is the 1927 model. It was the first work of Harley Earl’s GM, which founded an art-designer section. The radiator grille, which is a hallmark of Cadillac cars, appeared exactly at it. Cadillac 60 Special, produced in 1938, showed presentable appearance and for the first time was among the models of the make focused on pleasure from driving. In the model of Cadillac DeVille, which was made in 1948, there were a lot of new design elements such as fins, the panoramic windscreen, a pile of chrome and stainless steel outside, as well as inside the car. Cadillac Eldorado Brougham, the model of the 1953, became the first completely new executive car since times of the war. It became an embodiment of an «airplane» style so popular in America of the 50s. In 1967, Cadillac Eldorado appeared – the first front wheel drive car of American production. Cadillac Seville, the model of 1975, was the first relatively compact Cadillac of a European level. Cadillac CTS is a model being produced since 2002. The hatchback possessed completely new design, to which now all the modern models of the company adhere. 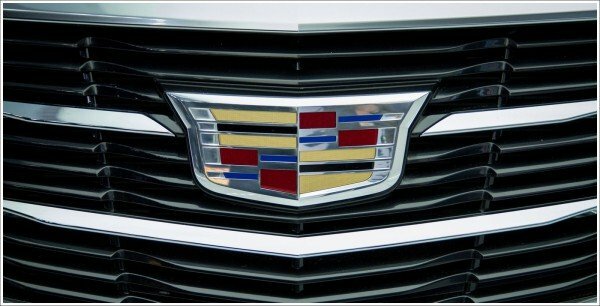 The updated symbol of Cadillac without laurel wreaths displays new language of cars’ design. They grew shorter, longer and more aerodynamic. 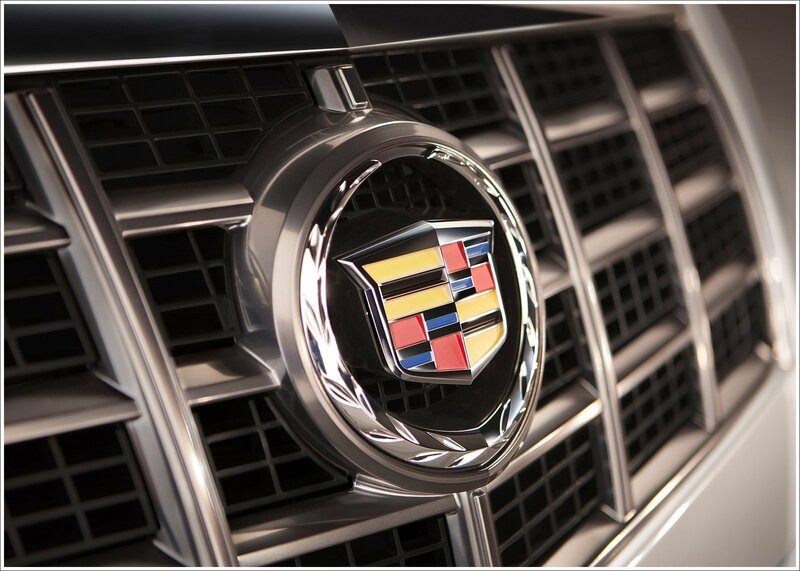 The purpose of this update of the symbol is a demonstration of the simultaneous evolution of the make Cadillac and its core values. Discontent of customers became one of the key reasons for the design change of the symbol. At surveys, a large part of potential buyers expressed negativity towards the design of the previous variant of the symbol, in the feature of laurel wreaths. The updated symbol was for the first time shown to the public on the concept of Elmiraj in 2013. In 111-year history, the Cadillac emblem was changed around 40 times. Laurel wreaths on it appeared in the 1980s. The new emblem appeared on series models of the make in the second half of 2014. The coupe ATS and the sedan CTS received it first. Today, the main production facilities, which manufacture cars Cadillac under the auspices of General Motors are in the USA, but branches of the company, including producing Cadillacs can be found in all the leading countries of the world.